The third race of the 2018-19 season takes place at Marina Bay Street Circuit in Singapore. As the name implies, the track is a street circuit in the heart of the city. The race takes place at night to reduce the toll on drivers in the tropical heat and, perhaps more importantly, to accommodate television audiences in other parts of the world. 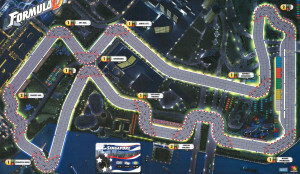 Marina Bay Street Circuit isn’t one that’s likely to get the cars running at full throttle much. It’s far more technical in nature and will likely result in a longer lap time as a result. The start-finish straight is short and there’s almost no run up at all into the first corner. A short straight followed by the Republic Boulevard right-hander leads onto the track’s longest straight, and that makes up the first sector. The second sector of the track is highlighted by a series of sharp 90-degree corners of the type you’d expect to find in a city block, not so much a racing circuit. Nevertheless, here they are, and they will likely catch someone out. The Concert Hall and Fullerton Road corners add to the challenge, but at least he bridge is picturesque. Another moderate straight closes out this section as the field will see the other side of Crossroads. The third sector may be even slower than the second, but it’ll feel like the end is in sight and it does run along the water. The Esplanade Theatres corner will slow the field slightly in preparation for the even slower Carlton Millenia section. 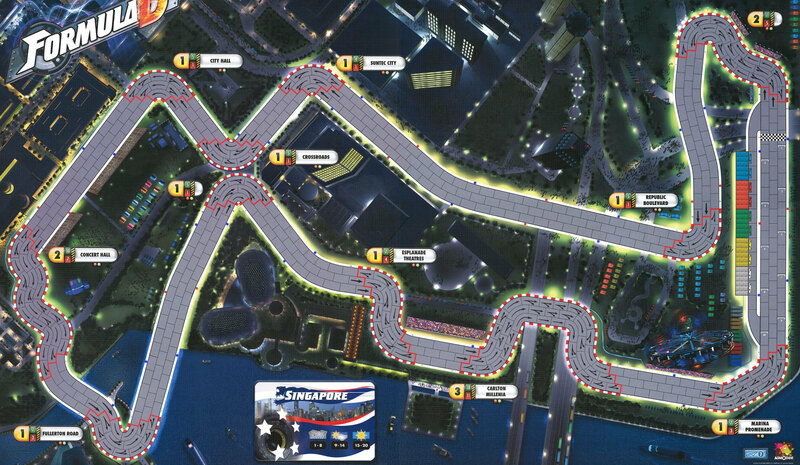 The circuit ends with the Marina Promenade and the finish line is in sight. As the league isn’t racing in Australia this year, Singapore will be Sheila’s home race. The SBMRL raced at Singapore in the inaugural season, but hasn’t been back since that day 3 years ago. That means that only Jaap, Launch, and the Stig are among drivers on the current grid that have raced there before. The previous race was won by Captain Slow, who was also the pole sitter that day. Cobalt’s Nero came in 2nd and Launch took the final podium slot, which may not be all that surprising. All three of the podium positions were taken by drivers who started on the first two rows. The two drivers who finished in dramatically different spots than where they started were Jaap, who moved up to 4th after starting at the back, and the Stig, who fell to 5th after starting 2nd. This entry was posted in Race Previews and tagged Singapore. Bookmark the permalink.